This openness and ease of access has had its own fair share of challenges too. There are many people online calling themselves ‘gurus’ who don’t understand what they are talking about. Well, what with the fact that you can sit behind a computer and pretend to be whom you are not. SEO and the industry as a whole has many people who will tell you they can rank your website on the first page of Google within 3 days! Well, that sounds good-it actually means you can make money almost overnight and at the ever ‘attractive’ cost of $199 per month! Who would not want that? Chances however are that you will end up losing more money than you will ever make with these kinds of people promising to help you get rich overnight. To help you navigate the not so easy world of buying SEO services we have listed a few factors to consider before hiring an SEO professional. I know SEO seems challenging to many people who are new to the SEO/internet marketing world in general. However, taking an hour a day for 7 days to read through the different tutorials that are available online about the basics of SEO will put you at a better position as an SEO service buyer. Get to understand the industry lingo: Terms like back links, PR, DA, SERPs, white hat, black hat, organic, etc. Understand what they mean so you can ask questions. Also get to understand a few SEO tools like Paradox SEO and how they work. Before hiring anyone find out exactly how they plan to optimize your website. Most importantly find out how they plan to build backlinks to your website. For best results your backlinks should come from various sources-and not just any website. They should be authoritative websites in your niche. Better still your expert should try to build your links naturally. Not going for the’ free for all’ link sources like low quality article directories and blog comments. Look at websites that the expert has optimized in the past. Are they still ranking? Here you may need to use some tools to find how the websites have been doing in the past 3 months for instance. Watch out for major changes in rankings-although that is not a problem it may be an indicator of massive link building campaigns within a short time. Back links should be built gradually over a long period of time. Most importantly use tools that can show you a website’s back link profile. Look out for links from bad neighborhoods or neighborhoods that search engines don’t like e.g. ‘free for all’ sites, some banned submission directories, low quality article directories, etc. If you see a bad link profile run! The guy will use the same methods to build your links and it won’t be long before you start having problems with search engines. Whenever possible try to speak with the clients that the SEO professional has served in the past. Listen carefully to what they have to say about their experience with the professional. Of course don’t let the SEO service provider know that you will contact his clients. These are not all the things that you need to bear in mind when looking to hire a SEO professional but they are meant to give you an idea of how to ensure you get value for money when looking for an SEO professional. The writer is an SEO consultant and has worked with many clients both SMEs and large companies. 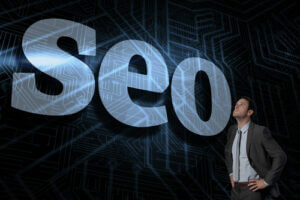 You can try out his amazing tool by visiting http://www.paradoxseo.com to rank your websites better on search engines.